Roosevelt appointee William O. Douglas was the longest-serving Supreme Court justice in U.S. history. Roosevelt elevated sitting Justice Harlan Fiske Stone to Chief Justice of the United States. Florence Ellinwood Allen, appointed by Roosevelt to the United States Court of Appeals for the Sixth Circuit, was the first woman appointed to a federal appellate court. Fred M. Vinson, appointed by Roosevelt to the United States Court of Appeals for the District of Columbia Circuit, would later be appointed by President Truman to serve as Chief Justice of the United States. 38 Alfred P. Murrah E.D. Okla.
39 Harry Evans Watkins N.D. W. Va.
40 John Caskie Collet E.D. Mo. 49 Mac Swinford E.D. Ky.
63 Harry Jacob Lemley E.D. Ark. 64 Leslie Rogers Darr E.D. Tenn.
71 Alva M. Lumpkin E.D.S.C. 83 Curtis L. Waller N.D. Fla.
88 Bower Slack Broaddus E.D. Okla.
106 George Bell Timmerman Sr. E.D.S.C. 118 Dozier A. DeVane N.D. Fla.
120 Richard M. Duncan E.D. Mo. ^ Douglas was born in Minnesota and spent a considerable amount of time as a student and later as a teacher at Yale University in Connecticut, but Washington is where he settled his family prior to his nomination to the Court. ^ Stone had been appointed as an Associate Justice by President Calvin Coolidge on February 5, 1925. ^ Rutledge lived and worked in many states prior to his nomination to the Court. ^ First woman appointed to a federal appellate court. ^ Laterally appointed as Chief Justice of the same court on March 9, 1948. ^ a b Recess appointment; formally nominated on January 6, 1936, confirmed by the United States Senate on January 22, 1936, and received commission on January 28, 1936. ^ Laterally appointed to serve as Chief Justice, after serving as a judge on the same court. ^ Recess appointment; formally nominated on January 5, 1939, confirmed by the United States Senate on February 1, 1939, and received commission on February 9, 1939. ^ a b Recess appointment; formally nominated on January 11, 1940, confirmed by the United States Senate on February 1, 1940, and received commission on February 5, 1940. ^ Recess appointment; formally nominated on January 8, 1934, confirmed by the United States Senate on January 23, 1934, and received commission on January 26, 1934. ^ a b Recess appointment; formally nominated on January 8, 1934, confirmed by the United States Senate on February 20, 1934, and received commission on March 1, 1934. ^ a b Reassigned by operation of law to the United States District Court for the Central District of California on September 18, 1966. ^ Reassigned by operation of law to the United States District Court for the District of South Carolina on November 1, 1965. ^ Recess appointment; formally nominated on November 16, 1937, confirmed by the United States Senate on December 8, 1937, and received commission on December 14, 1937. 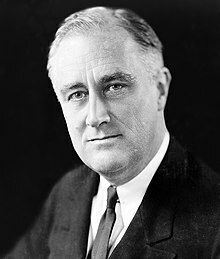 ^ Elevated by President Roosevelt to Chief Justice of the United States District Court for the District of Columbia, considered a separate appointment, on February 23, 1945. ^ Recess appointment; formally nominated on January 5, 1939, confirmed by the United States Senate on February 9, 1939, and received commission on March 4, 1939. ^ Allred resigned to pursue elected office; unsuccessful, he was later reappointed to a different seat on the same court by President Harry S. Truman. ^ Seat reassigned by operation of law to serve both the Eastern and Western Districts of Washington on January 20, 1940. ^ Recess appointment; formally nominated on January 16, 1940, confirmed by the United States Senate on March 5, 1940, and received commission on March 13, 1940. ^ Laterally appointed Presiding Judge, after previously serving as an Associate Judge of the same court. ^ Reassigned by operation of law to serve as Chief Judge of the same court. ^ Laterally appointed Chief Justice, after previously serving as a Judge of the same court.